Jul 28, 2014 in "'Move It! Shake It! Dance and Play It!' Street Party"
The Magic Kingdom's "Move It, Shake It, Celebrate It! Street Party" is set for a makeover later this year. 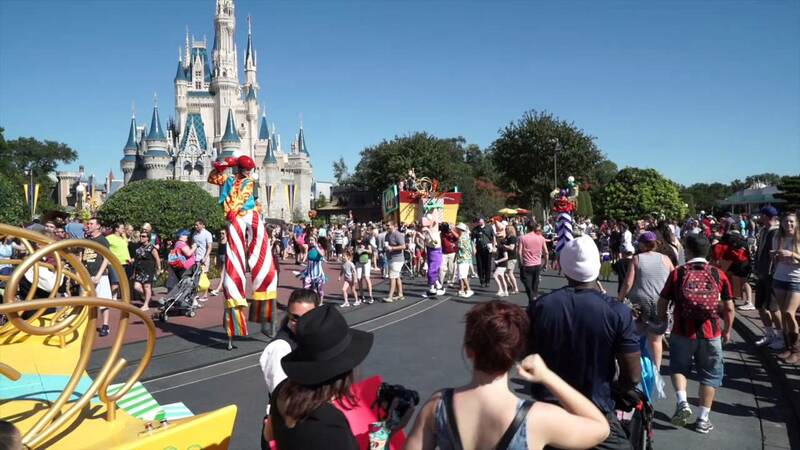 The float-based street party which opened in early 2009 is expected to receive a number of changes, including new music, a move of Mickey, Minnie, Goofy and Donald to the top of the floats, and the addition of Stitch. The Mad Hatter, Sebastian and Lumiere are expected to be removed from the show. The new-look "Move It, Shake It, Celebrate It! Street Party" should debut around October 2014. Disney has not yet officially announced the changes, so as always, the changes described here should be treated as speculation until officially announced.